While we await more Thunderbolt storage devices, Western Digital grabbed headlines not too long ago for the announcement of its 6TB My Book Studio Edition II Mac-ready external drive. 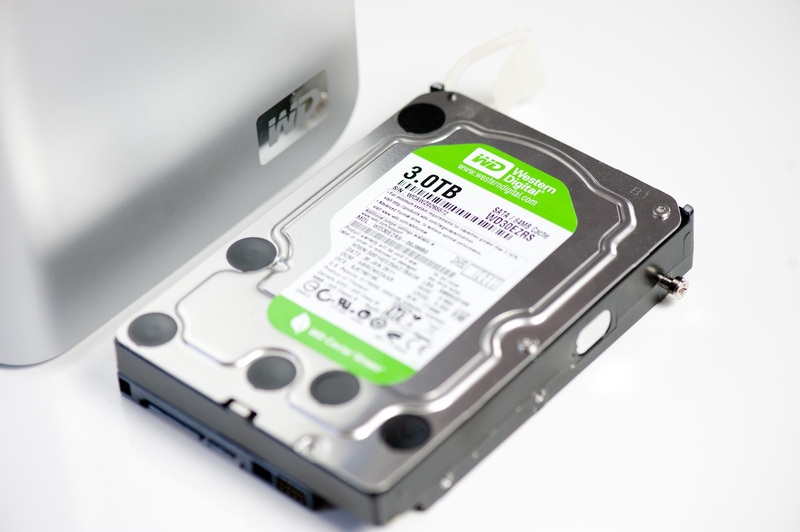 The two-bay external enclosure features two 3.5" Western Digital Caviar Green drives and is available in 2TB, 4TB and 6TB configurations. The drives are priced at $249, $399 and $499 respectively although street pricing is significantly lower. I saw the drives going for $179 for 2TB, $303 for the 4TB configuration and $379 for the 6TB model at Amazon. By default My Book Studio Edition II implements a RAID-0 across its two internal drives, although Western Digital's software lets you convert that to a RAID-1 (at half the capacity) if you'd like. The Mac-ready feature of course means little these days since both Mac and PC platfnorms share almost all of the same components. 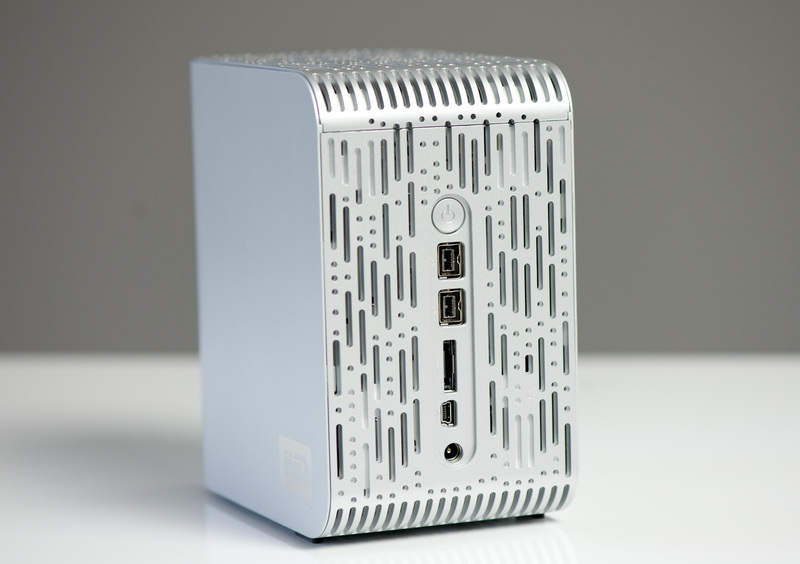 The MyBook Studio Edition II simply comes from the factory with a HFS+ partition, Mac-like industrial design, Mac compatible software and FireWire 800 support, commonplace on many modern Macs. The drive is easily just as usable under Windows and Western Digital of course provides software for that purpose. With two 3.5" drives inside the My Book Studio Edition II takes up about the desk space as five DVD cases standing upright. The industrial design is very Apple-like, however the construction is entirely plastic. The Studio Edition II chassis is well vented, despite there being no internal fans - slits perforate the top, back and base of the unit. The max drive surface temperature I measured was 51C under extended load. The front is barren except for a status light. Internally there are five LEDs that drive the indicator, but from the outside it just looks like a thin strip of light. The indicator is off when powered down, glows when idle, has a KITT affect when the drives are being accessed and a progress animation if the array is being rebuilt. With five discrete LEDs driving the light any animations aren't particularly smooth. All connections take place on the rear of the device, where you'll find a power button, USB 2.0 connector, two FireWire 800 ports (one as an input for daisy chaining FW devices), eSATA port and DC input. 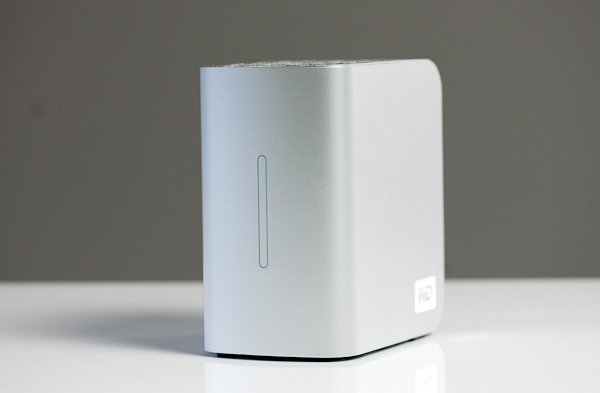 Western Digital ships the My Book Studio Edition II with cables for USB 2.0, FireWire 800 and FireWire 400. 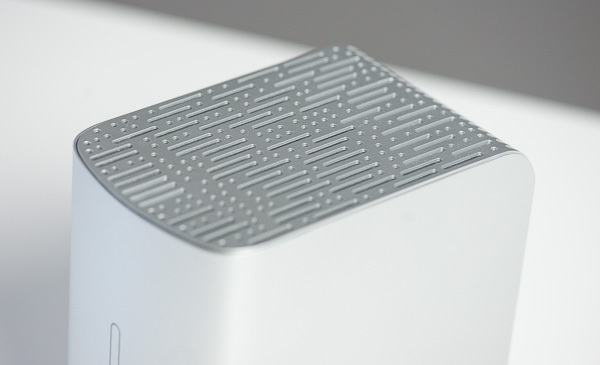 Given that no Macs have an integrated eSATA port, there's no eSATA cable in the box. The power adapter is a pretty standard, generic looking AC adapter. Unlike most external drives from WD and Seagate, getting access to the drives inside the My Book Studio II is made purposefully simple. The top cover is hinged with a press-to-release latch at the front. You have to press very hard to release the latch at the front, hard enough that I'm afraid of breaking the mechanism. There's no cage around each drive, two screws hold the drive in place so when you remove a drive you're removing all there is. 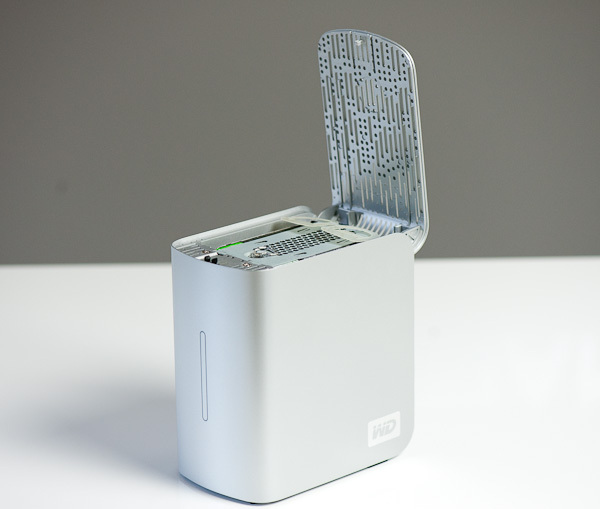 Western Digital makes it easy to remove drives however you're limited in what sort of drives you can replace them with. Only WD drives will work in the chassis. I tried replacing one of the drives with a Seagate and the My Book Studio Edition II wouldn't even detect the drive. Other WD Caviar Green drives worked perfectly however. Western Digital sent us its newest 6TB version, which features two 3TB Caviar Green drives internally - these are the same drives we reviewed not too long ago. By default these two drives are configured as a striped RAID-0 array, however you can convert the array to a 3TB RAID-1 if you'd like. 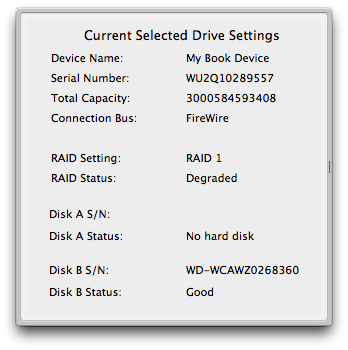 Despite supporting FireWire 800 there's barely any performance benefit to enabling RAID-0 on the chassis. You're bottlenecked at the interface, not the drive. I tried copying a large 7GB movie as well as the entire AnandTech folder on my drive with tons of small jpegs, both sequences ended up at around 75MB/s in RAID-0 or 70MB/s in RAID-1. Dropping to USB 2.0 caused peak performance to drop to around 30MB/s. 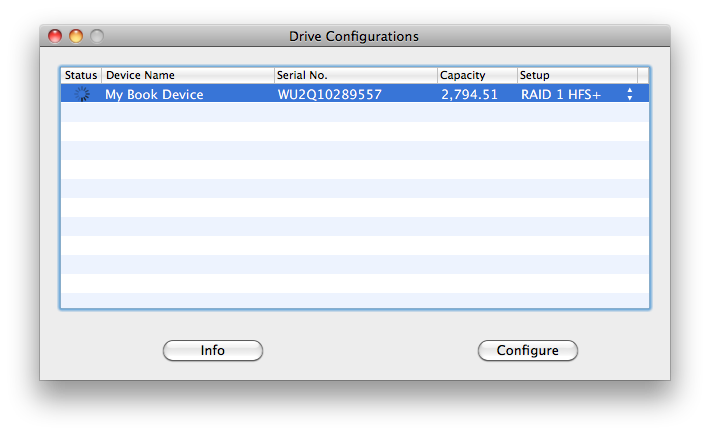 In RAID-1 mode the drive behaves as expected. 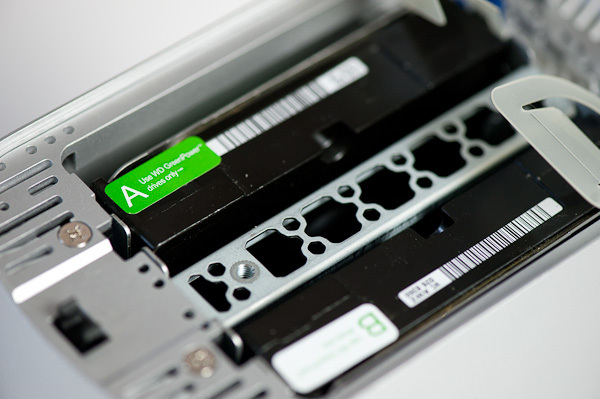 Remove either drive in RAID-1 and your array will keep working. Rebuilding unfortunately takes a very long time, something that's not atypical for a RAID array. If you're a non-Thunderbolt Mac owner that needs a good amount of external storage, Western Digital's My Book Studio Edition II works well with no real issues. The only trouble I had with the setup is that down the road if you need to replace the drives inside the Studio II you'll have to be sure to source Caviar Green drives from Western Digital. The enclosure doesn't feel super expensive thanks to its plastic construction but it does look like it belongs on a desk next to a Mac. The drives run reasonably cool thanks to their sub-6000 RPM spindle speed and well ventilated chassis. 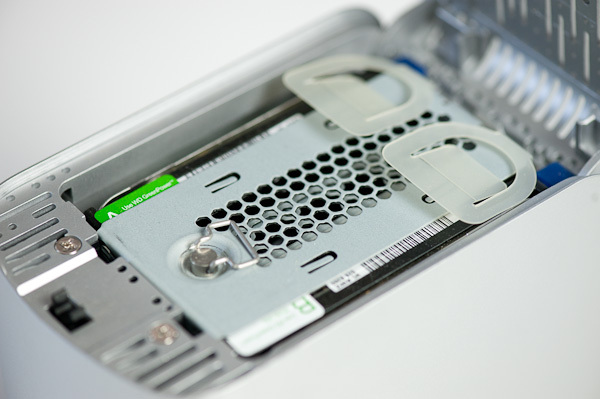 Pricing is somewhat competitive with single drive solutions from Seagate, but if cost is a concern you're almost always better off buying a drive and a cheap external enclosure. I will add that finding an affordable 2-bay 3.5" drive enlcosure with FireWire 800 support is tough. What I'd really like to see is a version of the My Book Studio Edition II with USB 3.0 and Thunderbolt support. Promise's Pegasus is a great performer but it's incredibly expensive. Perhaps Western Digital could do something about that at a more consumer friendly price point. +1, eSATA should have been tested. If you're not using Mac, that's what you'd likely go for. Then we would also have numbers for raw performance and useful comparison between R0 and R1. Wow...I thought Firewire 800 would be faster than that. I mean not that it's BAD, but my Seagate USB 3.0 external drives (single drives that is, not in RAID or anything) sustain 95ishMB/s over USB 3.0, or of course 25-30ishMB/s over USB 2.0. Really needs USB 3.0 for a new product like this, but still, this is kind of cool, assuming it works okay in Windows. There is no mention of eSATA, probably the only connection that would help alleviate the bottleneck you're experiencing with raid-0 and firewire. A Firewire 800 card is about 40-50$ on Amazon. Huh? Where do you get the $199 figure from? If you want this device with 2*3TB HDDs you need to spend about $379. As for the device itself, I don't see that much good. Only WD drives, no eSATA cable and it doesn't look like anything special.